The need for denture labeling is important for forensic and social reasons in case patients need to be identified individually. The importance of denture marking has long been acknowledged by the dental profession. 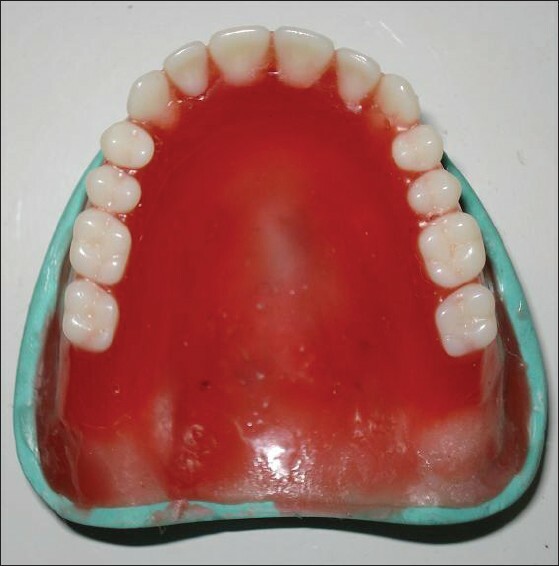 Over the years, various denture marking systems have been reported in the literature, but none till date fulfills all the prescribed ADA specifications. A simple, easy, inexpensive procedure for marking accurate identification marks on dentures with a lead foil is described here. The label caring the patient information is incorporated in the acrylic resin during the denture processing. Aim: The aim of this study was to compare root surface characteristics following root planing with various hand- and power-driven instruments. Materials and Methods: A total of 20 single, rooted teeth were used in this study; two specimens were used as control (no instrumentation done) and the remaining 18 specimens were equally divided into three groups. Specimens from each group were then subjected to root planing by one of the following instruments: (1) a Gracey curette, (2) ultrasonic tip and (3) a Rotary bur. In each case, the time required for scaling and root planing and surface roughness using the Roughness and Loss of Tooth Substance Index (RLTSI) was measured. Result: The mean RLTSI scores for the Gracey curette, ultrasonic and rotary instrument groups were 2.5, 2.0 and 0.667, respectively. The mean scores of time spent for scaling and root planing by the Gracey curette, ultrasonic and rotary instrument groups in seconds were 42.50, 35.83 and 54.50, respectively. Conclusions: All the three instruments, namely Gracey curette, ultrasonic tip and rotary bur, were effective in mechanical debridement of the root surface. The results favored the use of rotary instruments for root planing to achieve a smooth, clean root surface; however, the use of rotary instrument was more time consuming, which might limit its use in clinical practice. Background: The International Committee of Medical Journal Editors expects authors to report if their studies were carried out in accordance with the International Ethical Guidelines and Declaration of Helsinki; and inform readers regarding the same. Aims: To determine the proportion of International Indexed Dental Journals reporting on ethical clearance for human and animal research, obtaining of informed consent and / or assent, and the conduction of research in accordance with the Declaration of Helsinki and International Medical Research, 2006. Settings and Design: A cross-sectional survey of 'instructions for authors,' for analysis of editorial policy on ethical processes, was done. 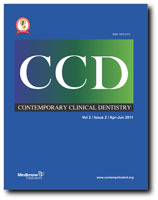 Materials and Methods: One hundred and twenty-six dental journals (which included 50 general and 76 specialties) were reviewed for reporting, with regard to the Ethical Committee Approval for human and animal researches, obtaining of informed consent / assent from the research participants, and research in accordance with the Declaration of Helsinki as well as International Medical Research 2006 were analyzed. Statistical Analysis Used: Descriptive statistics was used and results were expressed in percentages. Results: Of the 126 dental journals, 57 (45.23%) reported having obtained approval from the Ethics Committee, 33 (26.19%) were instructed about the Animal Ethics Committee approval, and 38 (30.15%) insisted on obtaining and reporting informed consent / assent. 41 (32.53%) journals expected authors to mention the research being conducted according to Declaration of Helsinki and and 3 (2.38%) journals required researches to be conducted in accordance with International Medical Research, 2006. Conclusions: A significant proportion of international indexed dental journals did not provide instructions to authors to report on the ethical approval, informed consent and / assent, and research conduction according to the Declaration of Helsinki as well as the International Medical Research, 2006. Background: The relationship between periodontal diseases in pregnancy and children born prematurely or with low birth weight has been increasingly investigated, showing positive and negative results, respectively. Objective: To evaluate the association between Maternal Periodontitis and Preterm delivery or Low Birth Weight. Materials and Methods: In this case-control study, 104 pregnant women without systemic disease or other risk factors for preterm labor were chosen. The control group (n = 52) had term labor (infants ≥37 weeks) and the case group (n = 52) had preterm labor (infants <37 weeks). Plaque index, bleeding index, and birth weight were measured. 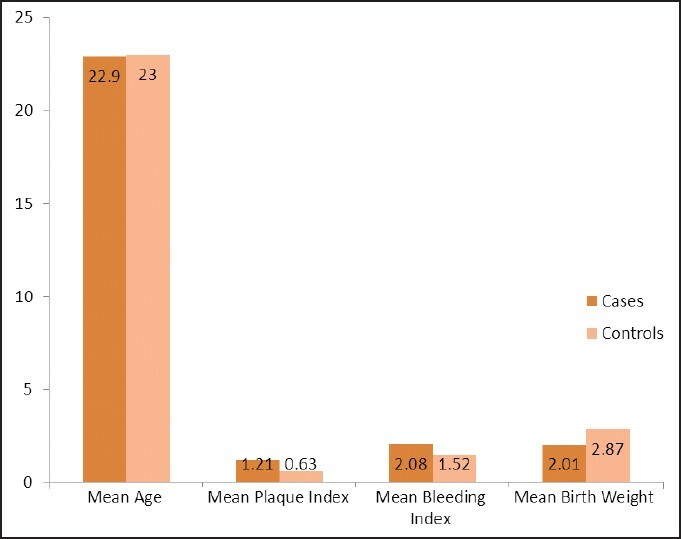 Results: The data of plaque index (cases 1.21±0.56; controls 0.63±0.31), bleeding index (cases, 2.08±0.62; controls, 1.52±0.61), birth weight (cases, 2.01±0.36; controls 2.87±0.32), and Probing Pocket Depth (PPD) ≥4mm and Clinical Attachment Level (CAL) ≥3mm in at least 4 teeth (odds ratio 137.50, P value < 0.0001) revealed a statistically significant difference between the two groups P< 0.05). Conclusions: A noticeable relationship between periodontal health and duration of pregnancy; periodontal disease could be a risk factor for preterm labor. Oral hygiene maintenance should be a part of prenatal care protocol. Aim: This study evaluated the effect of 2-hydroxymethyl methacrylate (HEMA) and the type of solvent on the tensile bond strength of the following three self-etch adhesives: Adper easy one (HEMA-rich adhesive) which contained ethanol, G-Bond (HEMA-free adhesive) which contained acetone, and Xeno V (HEMA-free adhesive) which contained butanol as a solvent. 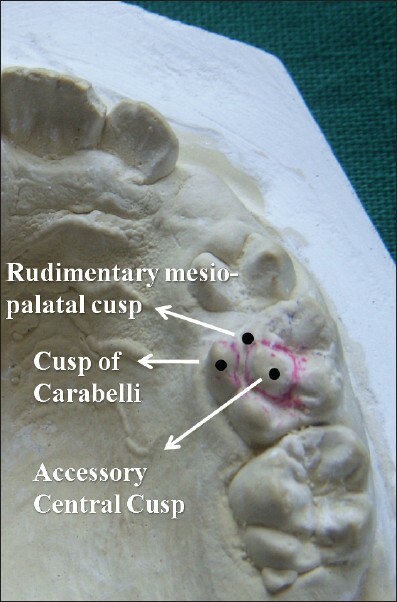 Material and Methods: Intact mandibular molars were mounted in self-cured resin and the occlusal surfaces were ground with # 600 SiC paper. 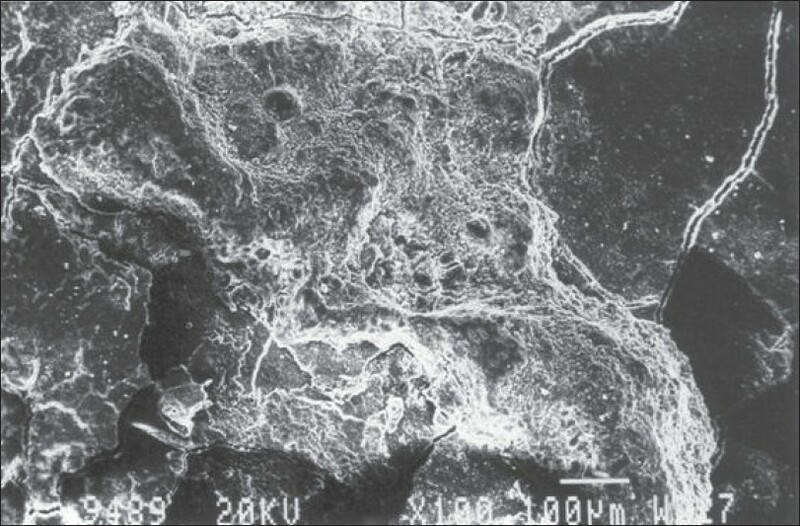 Adhesives were applied on the prepared dentinal surfaces and the resin composite was condensed in the split brass mold (5 × 3 mm) placed over the adhesive surface. The specimens were stored in normal saline and placed in incubator at 37°C. After 24 hours, the specimens were tested in tensile mode at a crosshead speed of 1 mm/min. Statistical analysis was done using One way ANOVA and Tukey's HSD test. Results: The mean bond strengths of Adper easy one, G-Bond, and Xeno V were 12.41 MPa, 10.09 MPa, and 8.67 MPa, respectively. Conclusions: Comparison of contemporary adhesives in this ex vivo study revealed that the ethanol-based HEMA-rich self-etch adhesive is better than HEMA-free self-etch adhesive that contained acetone and butanol as the solvents, when compared in terms of bond strength. Objective: To determine the effect the early childhood caries (ECC) has on quality of life (QOL) parameters of both children and their parents. Materials and Methods: A cross-sectional study was carried out in the Department of Pedodontics and Preventive Dentistry, Manipal College of Dental Sciences, Manipal, India. Clinical Setting: The study consisted of 500 children-parent pairs. The study was performed in Manipal and Bhubaneswar (250 children-parent pairs in each group), fulfilling the inclusion requirements of healthy children aged between 3 and 6 years old and children having ECC. The two groups were equally divided as follows: Group I - 250 child-parent pairs (Bhubaneswar) and Group II - 250 child-parent pairs (Manipal and Udupi). Interventions: This was a questionnaire-based study and the parents and their children were provided the questionnaires with various questions on QOL parameters. Questionnaires were validated in the respective local languages. Results: The data collected were analyzed using the SPSS (version 10.0) package. For assessing the internal consistency of the questionnaire, Cronbach's alfa test was used. To find the comparison between groups, Chi square test and "t" test were used. Conclusions: Oral health has a definite effect on the QOL of children. The most affected parameters by ECC were consumption of food and sleep in children, which significantly influence the parents. The questionnaire had good internal consistency in both Kannada and Oriya versions. Angioleiomyomas are vascular variant of leiomyomas which are benign tumors of smooth muscle. They are exceedingly rare in the oral cavity. Malignant transformation of these tumors has also been reported occasionally which warrants knowledge of this soft tissue tumor. A 57 year old male patient reported with a 15 day history of an asymptomatic growth that had started insidiously in his lower left back tooth region. Clinical examination revealed a solitary, oval, sessile growth in the mandibular left retro molar region. Excisional biopsy was suggestive of Angioleiomyoma. A recurrence of the same was noted two months later which was also histopathologically reported as Angioleiomyoma. The same was confirmed using special stains. This case reports an unusual presentation of Angioleiomyoma with regards to both recurrence as well as rapid growth. It is important to be well aware of this uncommon entity as these tumors often can mimic or transform into malignancy. Precise clinicopathological examinations are therefore invaluable in establishing an accurate diagnosis and delivering suitable treatment. Odontogenic cysts and tumors are distinct entities and quite a common occurrence in the jaw bones. The lining of odontogenic cysts shows a potential for neoplastic transformation to non odontogenic malignancies like squamous cell carcinoma and mucoepidermoid carcinoma, and odontogenic tumors like ameloblastoma and adenoamatoid odontogenic tumor (AOT). AOT is a benign, epithelial odontogenic tumor, common site being the anterior maxilla. Its origin from a dentigerous cyst and in the mandible is rare. A case of an AOT arising from a dentigerous cyst associated with an impacted permanent mandibular left lateral incisor is reported. 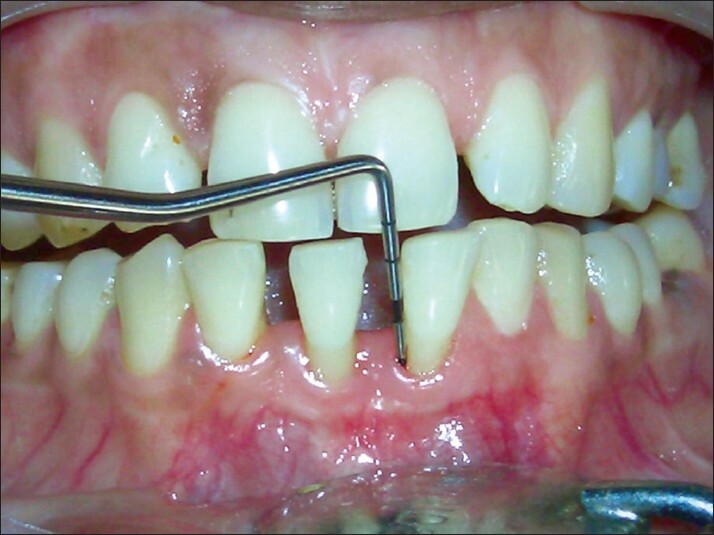 Shallow vestibule, gingival recession, inadequate width of attached gingiva (AG) and aberrant frenum pull are an array of mucogingival problems for which several independent and effective surgical solutions are reported in the literature. This case series reports the effectiveness of the bridge flap technique as a single-step surgical entity for increasing the depth of the vestibule, root coverage, increasing the width of the AG and solving the problem of abnormal frenum pull. Eight patients with 18 teeth altogether having Millers class I, II or III recession along with problems of shallow vestibule, inadequate width of AG and with or without frenum pull underwent this surgical procedure and were followed-up till 9 months post-operatively. The mean root coverage obtained was 55% and the mean average gain in width of the AG was 3.5 mm. The mean percentage gain in clinical attachment level was 41%. The bridge flap technique can be an effective single-step solution for the aforementioned mucogingival problems if present simultaneously in any case, and offers considerable advantages over other mucogingival surgical techniques in terms of simplicity, limited chair-time for the patient and the operator, single surgical intervention for manifold mucogingival problems and low morbidity because of the absence of palatal donor tissue. Space management through utilization of leeway space represents one of the most critical aspects of interceptive orthodontic treatment in mixed dentition based on its potential to prevent crowding in the permanent dentition. Lingual arch is the most frequently used space maintaining device for preserving leeway. 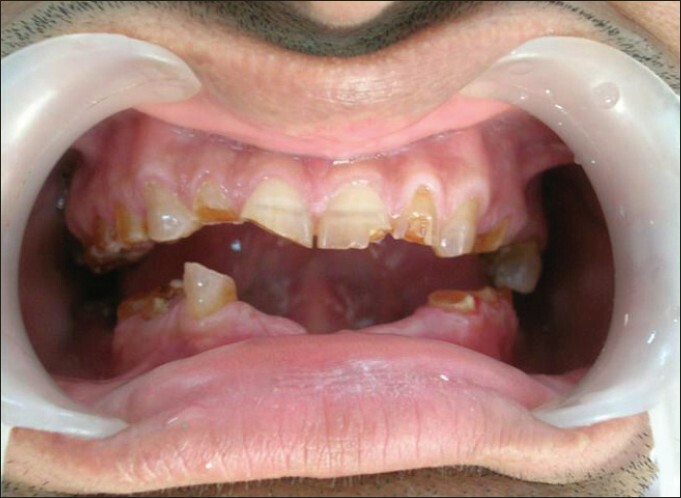 Case reports of patients in whom potential space discrepancy in mandibular arch was managed through preservation and utilization of leeway space are presented. 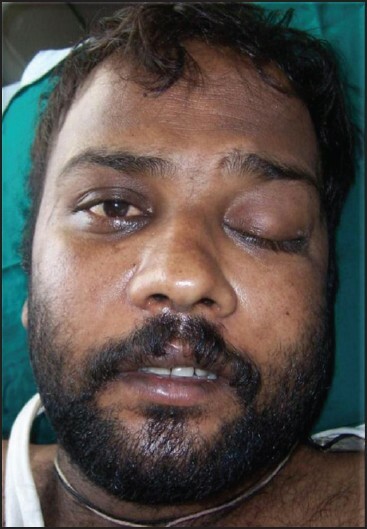 Rhinocerebral mucormycosis (zygomycosis) is an opportunistic fungal infection caused by saprophytic fungus. It involves several areas of the body, but the rhinocerebral form is most relevant to health care providers. Zygomycosis is associated with medically compromised patients. Our case reports an unhealed ulcer present over the palate of 15 days duration associated with swelling over the maxillary sinus region. This case is a blend of clinical, radiological, and histological manifestations of mucormycosis in a patient. The impaction of permanent teeth is not uncommon, but few permanent teeth are rarely impacted like mandibular first and second molars. Though third molars are commonly impacted, inversely impacted mandibular third molars are very rare. 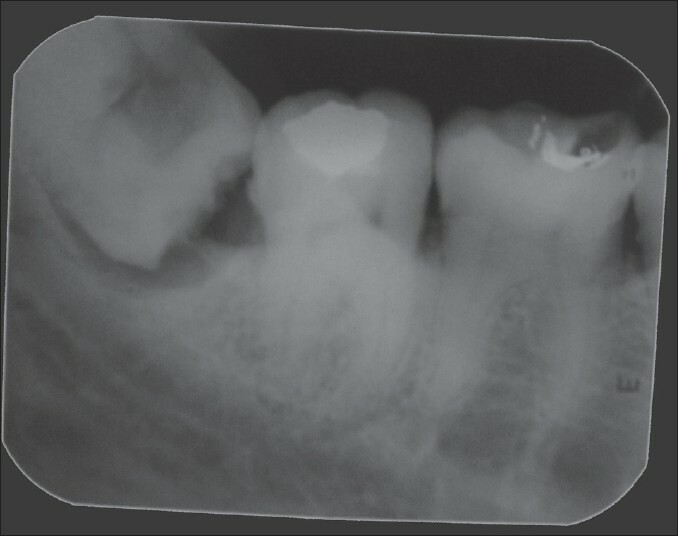 Here, we report three unusual cases of impacted mandibular molars accidentally diagnosed on conventional radiographs. Accessory cusp present on the occlusal surface may seldom pose problems. While its presence may not be a cause for alarm in most instances, it can sometimes lead to serious consequences if it is damaged. This case presents a rare finding of unilateral central accessory cusp seen on the occlusal surface of the maxillary left second primary molar and discusses the need for continuous dental surveillance and preventive measures. 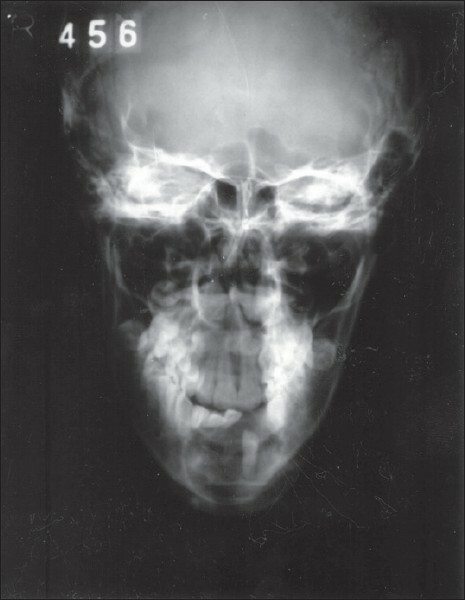 Cherubism is a rare, self-limiting, non-neoplastic fibro-osseous disorder of the jaws, usually seen in pediatric population. 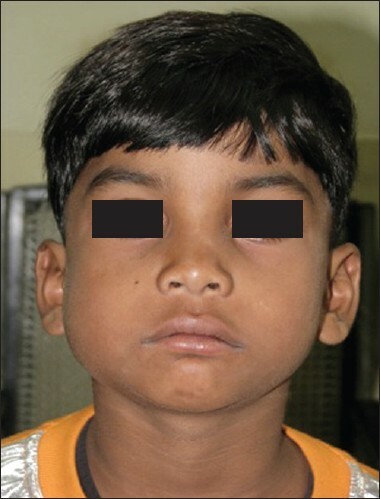 It is characterized by painless bilateral swelling of the jaws that gives the patient a typical cherubic appearance. Here, we describe the clinical, radiographic, histologic and computed tomographic features of cherubism in a 6-year-old boy. 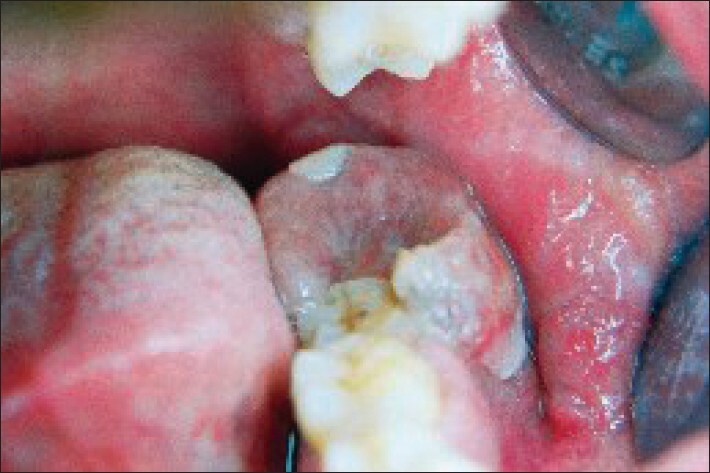 Pemphigus vulgaris is a chronic autoimmune mucocutaneous disease that initially manifests in the form of intraoral lesions, which spread to other mucous membranes and the skin. The etiology of pemphigus vulgaris is still unknown, although the disease has attracted considerable interest. The pemphigus group of disease is characterized by the production of autoantibodies against intercellular substances and is thus classified as autoimmune diseases. Most patients are initially misdiagnosed and improperly treated for months or even years. Dental professionals must be sufficiently familiar with the clinical manifestations of pemphigus vulgaris to ensure early diagnosis and treatment, since this in turn determines the prognosis and course of the disease. 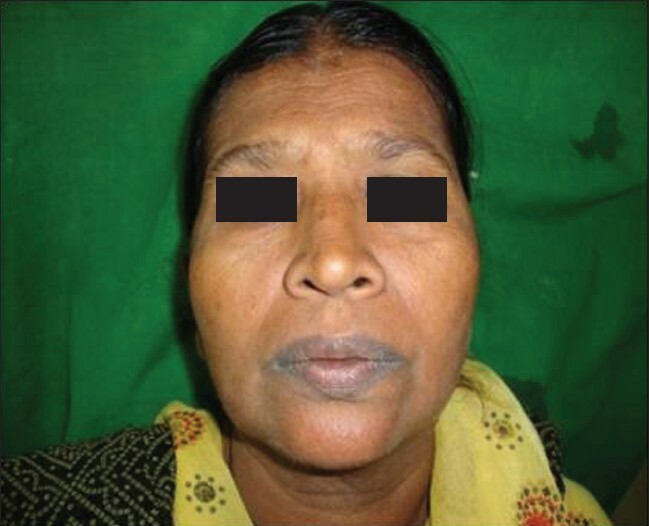 This article presents a case report with unknown etiology along with an overview of the disease. Dentinogenesis imperfecta and its prosthodontic management is a challenging task. Treatment protocol varies according to clinical case. 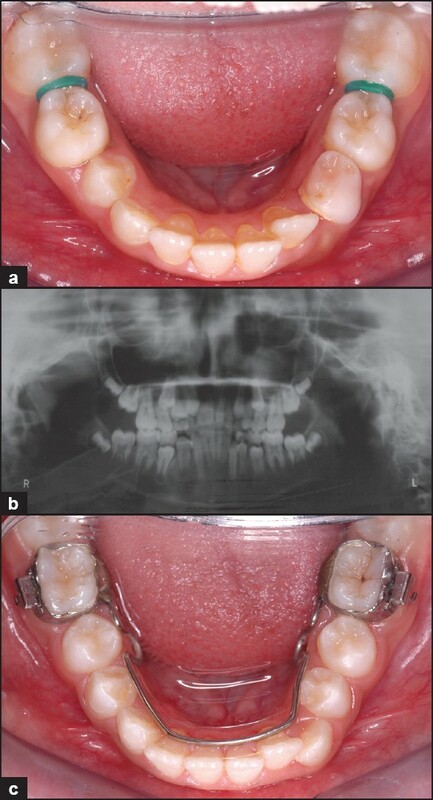 Although various reports in the literature suggest general guidelines for treatment planning, the present case report describes a full mouth rehabilitation of a young patient with dentinogenesis imperfecta treated by maxillary fixed partial dentures and mandibular fiber reinforced overdenture with metal occlusal surfaces.